Plus, Liverpool’s top-four bid to suffer another blow at West Ham. Man United have struggled on the road against the top sides this season. SO FAR THIS season, Man United’s record in games on the road against fellow top-six teams in the Premier League has not been overly impressive. In fact, the Red Devils have yet to score in one of these games — they drew 0-0 with Man City, lost 2-0 at Arsenal, drew 0-0 against Liverpool and lost 4-0 versus Chelsea, while getting beaten by the same opposition 1-0 in the FA Cup at Stamford Bridge. Moreover, this weekend, they come up against a Tottenham side with the best home record of any team in the league — winning 16 and drawing two of their games so far at White Hart Lane this season. Sunday’s game will be Spurs’ last home match before moving to Wembley next season, so even though their title hopes are all but over, they will still be keen to send their fans away with happy memories of the last game at the fabled stadium. Following their Europa League exploits on Thursday, Jose Mourinho will almost certainly field an under-strength team, and so expect Mauricio Pochettino’s men to capitalise against a vulnerable Red Devils side. A win at West Brom tonight will officially confirm Chelsea as Premier League champions. The Blues have enjoyed a superb season under Antonio Conte, who is set to win his fourth consecutive league title, having won three Serie As in three seasons at Juve. And it’s hard to see the Baggies delaying Chelsea’s title party — since the start of April, Tony Pulis’ side have picked up just two points from six matches, while the Blues have won 11 of their last 13 games in all competitions. In addition, Diego Costa may well find the target tonight. After a recent slump, he has three goals in three appearances. Cesc Fabregas, meanwhile, hasn’t always been an automatic starter, but that hasn’t stopped him racking up 11 assists. And with just 29 goals conceded, only Tottenham and Man United have better defensive records than Chelsea. Therefore, expect all these trends to continue at the Hawthorns this evening. Man City will be firm favourites when they host Leicester on Saturday. Pep Guardiola’s men have lost just once at home this season, while the Foxes have won two out of 18 games on the road. Sergio Aguero is a doubt for the game, but Gabriel Jesus is expected to play. After a spell out injured, the 20-year-old forward is nearing full fitness again, so expect the starlet to cause the Leicester defence plenty of bother in tomorrow’s early kick-off. Only Stoke, Man United and Middlesbrough have drawn more games than Liverpool this season, though West Ham have only been involved in one less stalemate (nine overall). The usually free-scoring Tottenham could not break down the Hammers last week, and Liverpool could well encounter similar problems at the London Stadium on Sunday. Jurgen Klopp’s side have often struggled this season against teams who put 11 men behind the ball, and their most recent 0-0 draw at home to Southampton last Sunday suggests they are no closer to solving this perennial problem. West Ham are unbeaten in their last five Premier League games, and so with Liverpool’s faltering attack and lack of creativity in midfield showing no signs of abating, Slaven Bilic’s team won’t go into this weekend’s game with too much apprehension. Yet with 20 goals and nine assists, Alexis Sanchez has been one of the Gunners’ few relatively consistent performers since the start of the campaign. Out of all the Premier League players, only Romelu Lukaku has been involved in more goals than the Chile international since the opening day. As Arsenal push for a top-four spot that appeared unlikely during various points in the campaign, expect Sanchez to again be to the fore at Stoke in Saturday’s evening kick-off. 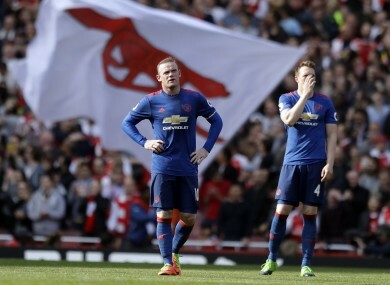 Email “Man United's away-day misery to continue and more Premier League bets to consider”. Feedback on “Man United's away-day misery to continue and more Premier League bets to consider”.